Dublin City Council is to spend €18 million over the next three years on repairs to council houses and flats which have been vandalised or become dilapidated due to disuse. The council is seeking building contractors from outside its own staff to undertake the work to bring empty social housing units back into use. Just over 400 of the council’s social housing units are classified as “voids”– houses or flats which have been vacated by tenants but are not in a fit condition to be relet to applicants from the social housing waiting lists. In some cases the work needed is minor, largely involving repainting, cleaning, replacement of carpets, or servicing of appliances. However, other houses, particularly those which have been abandoned or boarded up for long periods, can require rewiring, plastering, plumbing, new insulation and the refitting of bathrooms and kitchens. In the worst cases, where properties have been vandalised or subject to arson attacks, complete clearance and refurbishment works are needed. The council receives about 50,000 requests each year from existing tenants seeking repairs to their homes, minor and extensive, while they remain in residence. This work is carried out by staff at the council’s eight housing maintenance depots. However, most of the work to the vacant units is to be carried out by external contractors. The council is seeking tenders for a panel of contractors to undertake the refurbishment work, which has an estimated value of €18 million over a 36-month period. While private contractors are sometimes required for more specialised buildings and maintenance work, their use also allows for a quicker turn around of properties. The average length of time a council house is currently left empty after being vacated by tenants is 18 weeks, the council said. The figures do not include properties scheduled for demolition, such as the remaining blocks in Ballymun and St Michael’s Estate, Inchicore. The council has seen a reduction in the number of vacant units in recent years. In 2011 some 2.5 per cent of the housing stock was vacant and the houses took more than six months on average, instead of just over four months, to come back into use. The council currently has 19,986 applicants on its housing waiting list. However, not all of these will be judged by the local authority to be in need of council housing. The council is currently carrying out its 2013 assessment of housing need. In its 2011 assessment of the 26,019 applicants on the waiting list the council determined that 14,512 households had a social housing need, but that not all needed to be housed by the council. Some 6,222 households would have their housing needs “more appropriately met” outside the local authority system. Most of these applicants, some 5,157, should remain in the private rented sector, the council said. 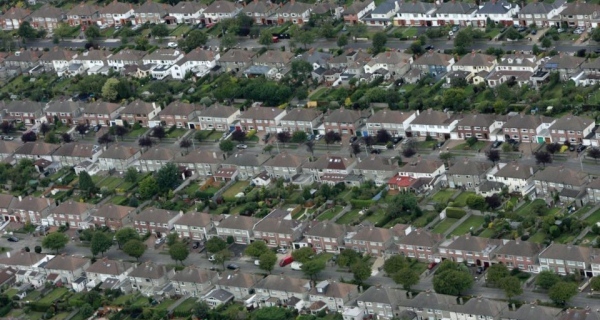 NAMA: Breathe life back into the property market?